This book is a practical guide to instrumented clinical gait analysis covering all aspects of routine service provision. It reinforces what is coming to be regarded as the conventional approach to clinical gait analysis. Data capture, processing and biomechanical interpretation are all described with an emphasis on ensuring high quality results. There are also chapters on how to set up and maintain clinical gait analysis services and laboratories. 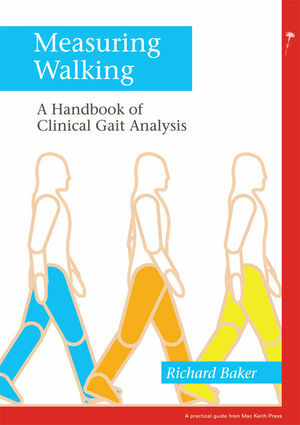 The book aims to describe the theoretical basis of gait analysis in conceptual terms. It then builds on this to give practical advice on how to perform the full spectrum of tasks that comprise contemporary clinical gait analysis. - Professionals from either a clinical or technical background working within clinical gait analysis services. - The extensive sections on data capture and processing will also be invaluable for those using gait analysis for research purposes. - Clinicians receiving gait analysis reports and particularly those who base clinical decisions upon gait analysis results (e.g. orthopaedic surgeons) will find it useful in understanding where the data comes from and how it can be interpreted. Professor Richard Baker, PhD, CEng, CSci, is Professor of Clinical Gait analysis, University of Salford. Richard has spent nearly twenty years delivering or managing clinical gait analysis services. For nine years he was Manager of the Hugh Williamson Gait Analysis Service at the Royal Children’s Hospital in Melbourne. During this time he served as Founder Director of the NHMRC Centre for Clinical Research Excellence in Gait Analysis. He is the first Professor of Clinical Gait Analysis anywhere in the world and is currently developing a Joint European Masters Degree programme in clinical movement analysis with colleagues in Belgium and the Netherlands.